I would like to know if there's a tool to generate a QR-code image for a Monero address. 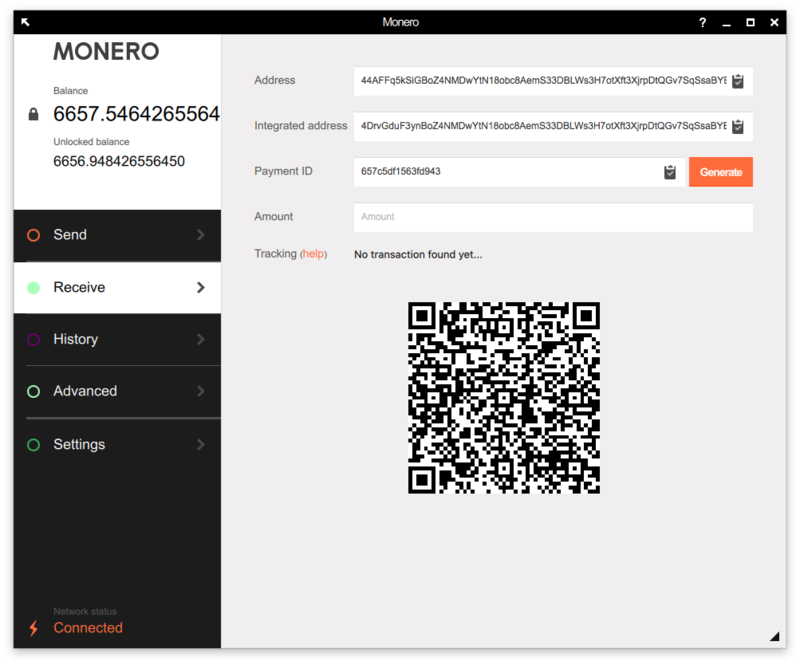 I know that https://moneroaddress.org has a button to display the QR-code, but only for wallet addresses generated there. Follow-up question, if possible, does this also work for integrated addresses? QR-codes have nothing specific to Monero. They are just a 2D representation of a string. It should work with any qr-code tool, and for any alphanumeric string of less than 4296 characters. So this includes monero public keys, private keys and integrated addresses. Generate a QR-code : qrencode -o addr.png "4A................."
There also plenty of websites that offers this service. However, please note that by using them, you may be giving up a bit on privacy. Unfortunately the balance shown in the above screenshot isn't from my own wallet, just a watch-only wallet of the Monero Project's donation address. And it will show you a QR code for 4xxxxxxxxxxxxx. Replace that string whatever you want, Monero address or otherwise. I recommend using monero:4xxxxxxxxx by the way, as this is the payment URI defined in http://monero.wikia.com/wiki/URI_formatting (and which is used by the GUI). Of course, if the receiver might be expecting a raw address, but hopefully not. Not the answer you're looking for? Browse other questions tagged integrated-address address or ask your own question. Is there a guide available for generating and parsing integrated addresses? Is it possible to avoid Monero address re-use without having to create a new wallet for each transaction? How can we be sure that monero wallet addresses are unique? How to manage a large number of low-powered miners? How to generate integrated addresses without a node?